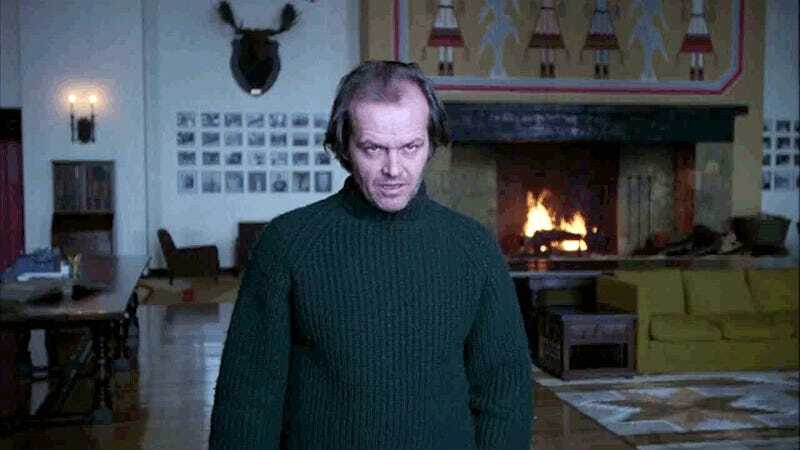 Sitting here watching The Shining for the first time (I know, I know) and about the time Danny is redrumming and touching the kitchen knife I realize I am touching the blade of a 6 inch buck knife I’ve been sharpening to check for an edge. I picked up my dads sharpening stones tonight and wanted to sharpen his old buck 119 that I got from him that’s been dulling from camp use. I picked a helluva movie to sharpen a knife too...dayum. Related: REALLY NETFLIX? Because I watched The Shining you think I would also enjoy Pee Wee’s Big Holiday?! Seriously, that was the “We think you’d like this” recommendation that came up when it was over.